Since the mid-1980s, David F. Ruccio has been developing a new framework of Marxian class analysis and applying it to various issues in socialist planning, Third World development, and capitalist globalization. The aim of this collection is to show, through a series of concrete examples, how Marxian class analysis can be used to challenge existing modes of thought and to produce new insights about the problems of capitalist development and the possibilities of imagining and creating noncapitalist economies. The book consists of fifteen essays, plus an introductory chapter situating the author’s work in a larger intellectual and political context. The topics covered range from planning theory to the role of the state in the Nicaraguan Revolution, from radical theories of underdevelopment to the Third World debt crisis, and from a critical engagement with regulation theory to contemporary discussions of globalization and imperialism. Development, and Globalization is antiessentialist social theory at its very best. Whether re-reading socialist planning debates, economic and social development struggles in the global South, or capitalist and alter-capitalist theories of globalization, David Ruccio engages the contemporary conjuncture in fresh and exciting ways, demonstrating throughout the successes of the rethinking Marxism project and the immense potential and range of contemporary Marxian analysis. What Maurice Dobb did for twentieth-century critiques of socialist planning, capitalist development, and imperialist expansion, Ruccio redoubles for a new age of post-Communist and globalized political economy. David Ruccio is a central figure in the exciting and innovative "postmodern" school of Marxian thought. Through his own writing and his stewardship of the journal Rethinking Marxism he has contributed immensely to this tradition. In this collection, Ruccio draws together, sharpens, and extends central insights from that school of thought and applies them to debates over socialist planning, economic development, and globalization. 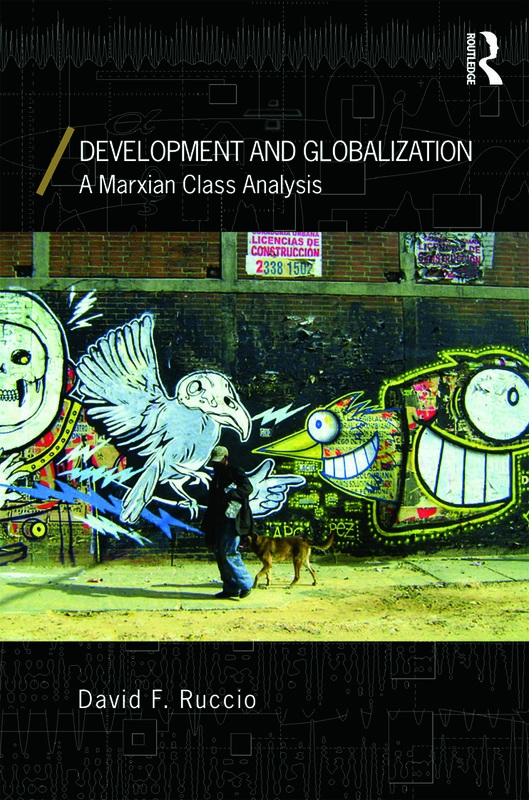 The essays demonstrate the depth of Ruccio’s intellect and the range of his expertise, to be sure, while also conveying the power of the postmodern Marxian tradition in helping us to overcome the malaise that now affects much contemporary left scholarship about prospects for radical reform in the Global South. In Ruccio’s hands, Marxism emerges as a vibrant tradition that continues to generate new avenues of scholarship and practical politics in pursuit of a more just world. Whether one agrees or not with the basic premises and analysis of this book, it will provide an intellectual challenge to everyone. Focusing on issues related to planning, development and globalization, particularly in Latin America, Ruccio questions the prevailing wisdom in circles of both the Right and the Left. His privileging of class analysis provides the unifying thread to the wide variety of themes covered in the sixteen chapters. In our post-crisis search for new economic thinking and alternatives for social transformation, Ruccio's book comes at a perfect time to contribute to the debates. Pathbreaking in its originality and breathtaking in its coverage, the truly outstanding volume David Ruccio has delivered is indispensable in critiquing a variety of prevailing developmental paradigms. Rather than simplistically noting the 'failures' of capitalism, this book reveals how neoliberal development policies can be considered successful in terms of promoting the emergence and strengthening of capitalist class processes and the appropriation of surplus-value in Latin America and beyond. It is obligatory reading for scholars and students seeking to construct Marxian class analyses and to formulate alternatives to the world economy today.